Wade Wheatley, P.E., serves as Managing Director of Environmental Engineering Services for GDS Associates and holds an MSW Operator “A” License. Wade’s fields of specialization related to this project includes Municipal Solid Waste and Industrial and Hazardous Waste Permitting and Compliance Assistance, Regulatory Evaluations/Compliance Determinations, Regulatory Negotiations/Liaison and Facility Closure. 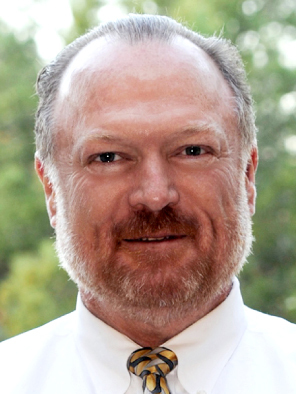 He has worked for the Texas Commission on Environmental Quality (TCEQ) from 1992-2005 and served in many capacities to include RCRA Permit Coordinator, Team Leader in the Industrial and Hazardous Waste Permits Section and Director of Waste Permits Division prior to his leaving the TCEQ. Wade’s professional career has also included working in various capacities for the solid waste industry. After leaving the TCEQ he became the Director of Facility Operations and Development for Texas Disposal Systems (TDS) Landfill, Transfer Station, Composting Facility, Hauling and Contract Negotiations where he was able to combine his regulatory knowledge with the day to day landfill operations to gain a broader view on how to successfully maintain environmental compliance while expanding business operations. He left TDS to consult in the solid waste industry. He worked for an established consulting firm prior to his current position with GDS Associates. Wade has maintained and developed his regulatory and industry relationships which along with his expert knowledge of the waste industry has resulted in his career success. Not currently receiving TransActions? Submit your email below to start receiving our informative newsletter. GDS does not share, sell or trade email addresses.